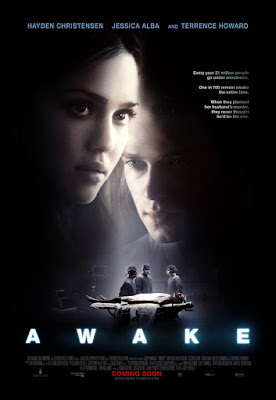 AWAKE deals with a mamma's boy businessman (Hayden Christensen) who undergoes a heart transplant, only to find out his buddy surgeon (Terrence Howard) plans to let him die on the table to split his $100 million life insurance with his brand new bride (Jessica Alba). What follows are 84 minutes of boring dialogue, confusing flashbacks, gear shifting plot twists, and Hayden Christensen continuing to prove he doesn't have any decent acting skills. This coma inducing mess is available for streaming on Amazon and YouTube, but as always, you're better off leave this cinematic heart attack to us and go watch COMA again instead. 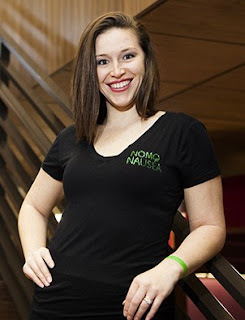 Our special guest this time out is Jacqueline Darna, inventor and CEO of the NoMo Nausea Bands. Darna is an anesthesiologist who developed a drug free elastic wristband that provides relief from various types of nausea, including motion sickness, morning sickness, and migraines. You can check our her brand new podcast called PUKEOLOGY right HERE.